“Which homes for sale near James Foster Elementary School – Saugus CA would mean my children could attend this well scoring school?” Please scroll down for school information and James Foster elementary School website. This is one of the most important of many questions parents ask when beginning their search for homes for sale near James Foster Elementary School – Saugus CA. The school is located within the Saugus Union School District. It is both disappointing, and a waste of precious time if you find homes for sale near James Foster Elementary School – Saugus CA you love, and believe that your child can attend, only to find out it is not within the schools attendance boundaries. Look without wasting your time. 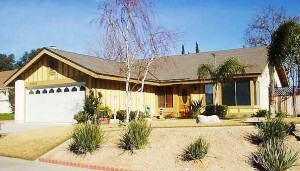 All homes for sale near James Foster Elementary School – Saugus CA (link to page on web site). Page is constantly updated and includes homes in areas of Saugus CA. Please be aware that boundaries can change. Before making your final decision on your home, please contact the school district for final verification. View homes at the top of the Today Homes in Valencia North, north of Pamplico and west of Seco Canyon Rd., are some of the single family homes where you will find homes for sale near James Foster Elementary School. Pamplico Dr and south, the school is Santa Clarita Elementary School. There are good reasons to look for homes for sale near West Creek Academy. Click here for school website. It is the mission of James Foster Elementary School in partnership with the community to develop socially responsible students who have the skills, attitudes, and knowledge to function successfully in a rapidly changing and culturally diverse world. The children will benefit from a student-centered institution guided by a skilled staff in a stimulating, safe environment. Click here for James Foster Elementary School ranking and test scores.